With so many contemporary mainstream American horror films now biting off the vintage style of the '60s and '70s, a defining time for the genre, what does it say when a filmmaker seeks to rekindle the style of '90s-2000 aughts horror, which arguably had far less cultural impact aside from its snark and technology? The answer apparently is, not very much. I've written about my anticipation for RINGS several times on this blog within the last two years or so (through its multiple release dates), because I was hella hyped. Mostly because I thought there was real potential to expand on child villain Samara's storyline since the original 2002 film, The Ring, perhaps even more than its Japanese predecessor, 1998's Ringu. 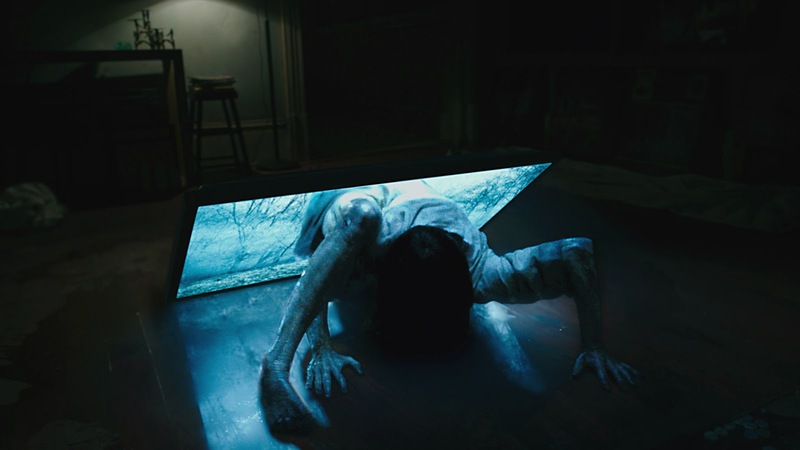 As Samara's story unfolds through 2005's The Ring Two, we learn, like many classic horror villains who've come before her, she embodies complexities that makes her who she was -- her insane parents, for starters, and the fact that she was thrown inside a well at a young age, stunting her development. The eagerly-awaited promise of a reboot, despite the fear of it not living up to its own standard, could have done what we hope every reboot does: probe the original narrative. 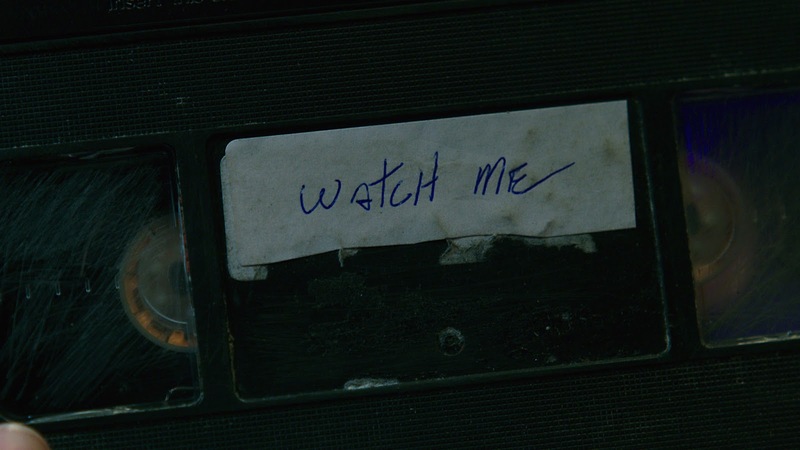 But instead, RINGS revisits what those of us who've seen both films already know to be true about Samara's story, and decides to tweak it just a bit to make us think we're watching something fresh. We're not. Not only does RINGS make us suffer through a retread; it changes some of the traits of the characters in Samara's storyline (like her father, for instance), further convoluting the plot. Adding to its issues is the introduction of never-before-seen content on the evil VHS tape used to infect all its viewers with Samara's wrath (now converted to a teeny tiny, yet equally destructive computer file). The explanation for that leads to more questions, and not in a "Oooh, I want to learn more about that" kind of way; but more like a "Seriously, dude?" kind of way. It just doesn't make sense. 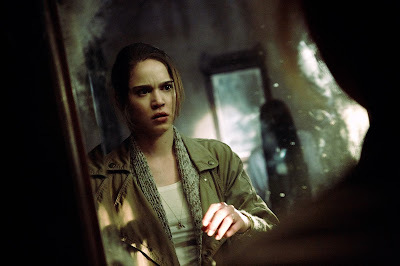 But what's perhaps most maddening about RINGS is not its two obligatory millenial protagonists, a couple played by Matilda Anna Ingrid Lutz and Alex Roe, who each make one fatal error after the next (none worth rehashing here), but rather the film's need for its characters to try to save Samara, as if that wasn't already a thing in the two previous films. I mean at this point, the smarter thing to do would be to introduce Samara as a twin, or as not the only victim of her parents -- something that adds layers to the original premise, not muddles it. While I'd be lying if I said there aren't a few jump scares in the film, they're all a bit cheap and recycled. There's just nothing truly fascinating about this new addition to the series, though Vincent D'Onofrio as a mysterious priest is a welcome burst of intensity despite being like a pebble in an ocean of mediocrity. And seeing how rapidly the malevolent video (forced to be hand delivered to its victims in the more primal era of technology) can now be transferred thousands of times over just by the click of your mouse pad adds to its frightening effects. But overall, RINGS is sadly disappointing.